Harvey Smith is a game designer and writer who has been working in videogames professionally since 1993. Currently, he is co-creative director at Arkane Studios, working alongside Raphael Colantonio. Most recently, Smith worked on Dishonored 2, while living in Lyon, France. October 2012 saw Smith and Colantonio release the award-winning Dishonored, working with Arkane Studios teams in Lyon, France and Austin, Texas. 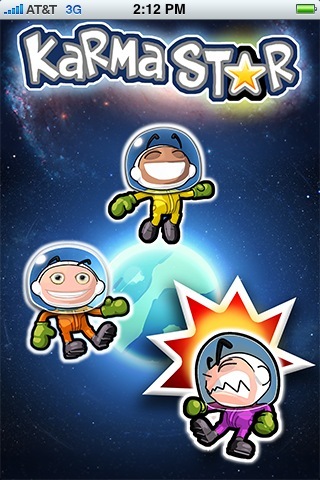 In 2009, Smith released the iPhone game KarmaStar. 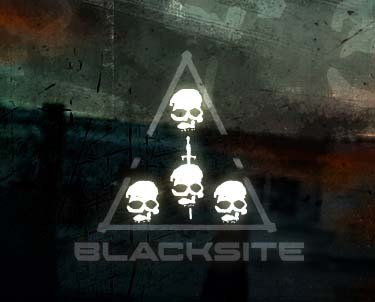 From 2004 to 2007, he served as studio creative director for Midway Austin, managing the design department, starting three projects and shipping Blacksite during that time. 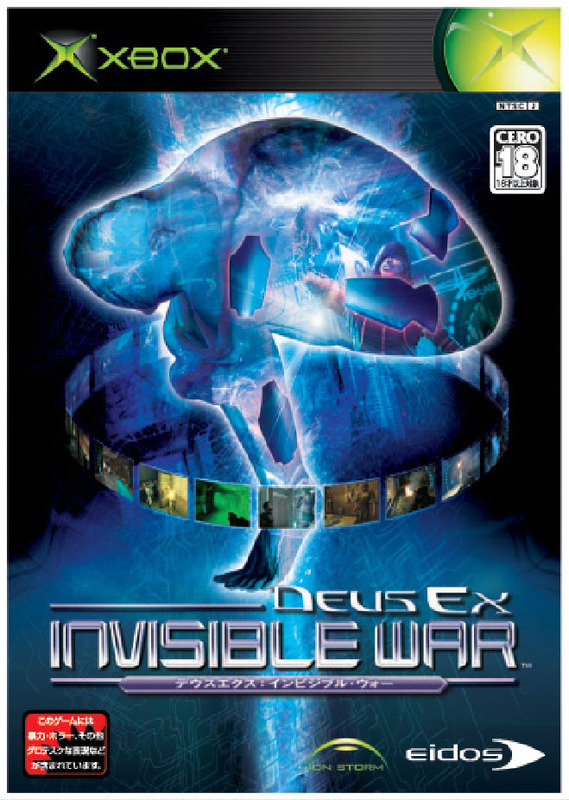 He worked at Ion Storm’s Austin office from 1998 to 2004, acting as creative director of Deus Ex: Invisible War and lead designer on the award-winning Deus Ex, winning the 2000 BAFTA and many other awards. Prior to Ion Storm, Smith worked at Multitude, an Internet startup in San Mateo, CA. There he was lead designer of FireTeam, an innovative tactical squad game that was one of the earliest video games to feature voice-communications between players. He started his career at the pivotal game company Origin Systems, working as an associate producer on Cybermage and Ultima VIII, lead tester on System Shock and a play-tester on Super Wing Commander. He has written about numerous game design subjects and has spoken at the Game Developers’ Conference, MiGS, SxSW, E3, QuakeCon and other conferences. In 2005, he won the Game Design Challenge at GDC for his entry, Peacebomb! Smith has served on Advisory Boards for the SxSW Screenburn Festival and the Game Developers’ Choice Awards. In addition to working with Arkane Studios, Smith has written the novel Big Jack is Dead, which he describes as a collision of Southern Gothic and Silicon Valley. Hello Harvey! I found an article with information about yours canceled game Technosaur. I’m very interested about it and if you have some playable alpha version in yours archives – could you share it with me? One of my hobby’s – that’s I’m a collector of rare game versions and I hope sometime show my collection in one of museums. So if you could help me with Technosaur – that will be just great! Thanks. All I have are the images on the website. The vertical slice build played like an RTS with multiple view altitudes. Someone (David Reese or Mike Songy) might still have the code. I might have a demo disc in the attic, but I doubt it…I purge periodically and this dates back to the mid-90s. I am the Senior Video Game Editor for AlmostNerdy.com, and I would love to be able to do a short e-mail interview with you about Dishonored. We’re a new site, but we’re growing rapidly, and it would definitely be great to give our readers a bit of an inside look on what is certainly one of the most exciting games of 2012! Sounds good. Just email aramsey, with the domain bethsoft, ending in a dot com. I’m a journalist from the UK, currently working on an article for Eurogamer about Deus Ex, with a focus on content that was cut from the game. I’m already talking to a few people about the game and I’m aware of the materials Warren’s had held at the University of Texas. If you’ve got time though, I’d love to round some of that out with a short interview with you. Is this something you’d be interested in contributing to? Apologies about contacting you through the blog, but I couldn’t find another way to reach you directly. Hello, i don’t think anyone else could answer this for me so I’m coming to the master himself. In the walkthrough of Dishonored you did of The Golden Cat I notice that when you pull up the quick access wheel you have all the powers and weapons unlocked already. I didn’t even get incendiary bullets until the very last level, let alone have that many powers by that point in the game. Am I doing missing something or was that all for demonstration purposes? I feel like the beginning missions with less powers and weapons are the most open and would be the most fun to replay once everything is unlocked. Alas, this option(i.e. New Game+) was not added and that makes me a sad panda. Yeah, that was for demo purposes. Was curious if we’ll ever get a chance to read this novel you’re working on? I hope to have time to put it online soon. I’m an art student with an interest in creative writing and I was wondering what careers options are available combining game design and writing? After spending so much time in Dishonored exploring the world and reading the notes/letters/books and just enjoying the whole immersive experience of the game, I realized that story fascinates me more than anything else and since gaming is the ultimate story-telling medium, I definitely want to do something like that. Currently, I’m applying to animation programs but I’m not sure what is possible with an an animation degree or if perhaps there’s another way to go about being part of the writing and designing process. I figured you would be the best person to ask about this seeing as you’ve been part of some great games and you conceived Peace Bomb, a concept for a game that would be more than just ‘a game’. If you could give me any information about careers and possibly degrees that would help, I would greatly appreciate it. Or if there’s anyone one else you think I should contact about this, I’d appreciate that too. I appreciate you taking the time to read and respond. p.s. If it’s alright with you, could you respond using my email and delete this comment? I’m a little paranoid about posting online where everyone can read what I write. If not, no worries. Hey there Mr. Smith! Any interest in doing a brief email interview for the JaceHallShow? 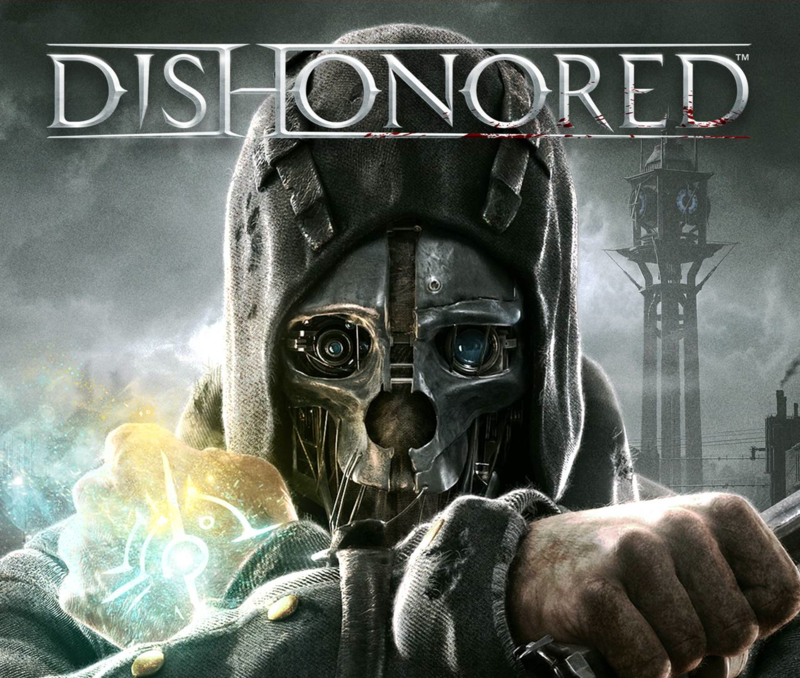 Dishonored was our Game of The Year 2012 and we’re thinking about doing a write up, it would be cool to get some brief quotes from you. Let me know what you think. I’m really looking forward to it. Yes, Raphael and I would love to chat. But please work through Angela Ramsey, our PR manager. Her email is ARamsey, followed by AT bethsoft DOT com. Thanks and cheers. 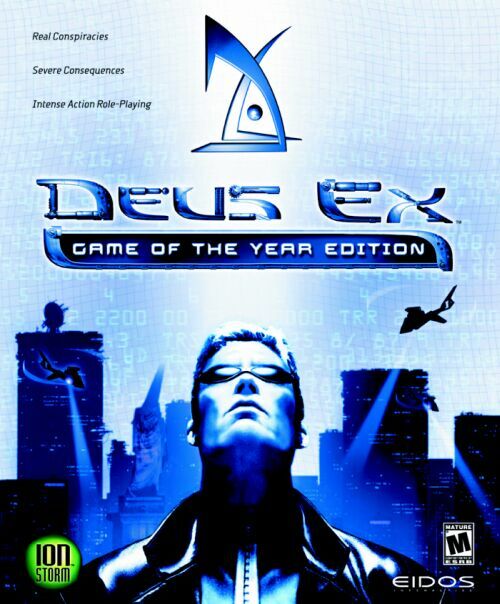 I am behind the times but i’ve just had the chance to play Deus Ex and I got interested in seeing the brilliant minds behind it. I am interested to know whether you had any formal higher education because this is not mentioned in this page. I just want to compare you to myself since I am considering whether i should pursue higher education in order to be as successful as yourself. Thanks, from all the talented people who made the game(s). My 2 peices of potentially conflicting advice: Get all the education you can, and don’t take on any debt. Hey Harvey! This is that kid from Minnesota who showed upon your doorstep with his big brother in Austin,TX ~2012 @Ion Storm Studios when you were working on Deus Ex 3. I wanted to reach out to you to let you know how much I appreciated that hospitality regarding giving me a tour, sneak peak on DX3 and free lunch of course! Over 10 years later it is still one of my fondest memories. I see you are still producing high quality stuff, keep up the great work! I hope everything is going well for you. Talk soon. Wow! (Was your brother a chemistry major?) I think it was 2002 or so. Thanks! Just read the “Things you didn’t know about Harvey Smith” piece in the Game Over section in the latest Game Informer magazine. The reason I took notice was the picture included on the page. Despite the passing of time, you look familiar. The article mentioned you growing up on the Texas Gulf Coast. And you were in high school during the early 80s, right? Would that high school’s colors happen to be purple and white, and have a Wildcat for it’s mascot? I also went to a high school with some sort of shipping worker for a mascot, 20 miles south. Cool. Maybe the Exporters? I don’t think the Wildcats played them, but instead played the Brazoswood Buccaneers. I wasn’t that into sports, anyway. Aside from a few trips abroad, I’ve mostly lived in Austin after finishing U.T., and I currently work for ACC. Good afternoon Mr. Smith. This is Brian Van Over from Inspired Concepts Cosplay and just wanted to say thank you for the like and comment you left on the images I posted on your Twitter page. My wife and I have played over 100 hours of Dishonored each and were simply captivated by it entirely. As our first cosplay was Corvo and Emily(cosplayer as Emily from Dishonored 2) we want to bring our love and prowess even more for Dishonored 2. Of you happen to have any designs or exploded technical drawings of the weapons. We already purchased the amazing art that has come out of it and we are eager to begin the clothing which looks amazing. The weapons are what I really need for authenticity. Any help would be much my appreciated and again please keep up your amazing work. 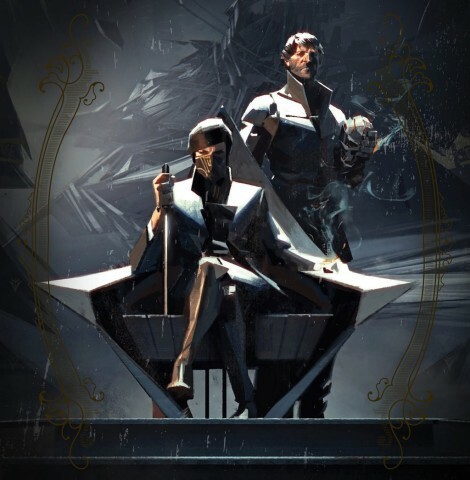 Hello I’m a big fan of your dishonored game but I was hoping you could make dishonored figures and the upcoming part 2 dishonored figures because I really would like a collection of them because I love the game a lot plus you could make more money so it’s a win win right. So anyways if you do get this message could you please reply to this note and I can’t wait for new game so thank you a lot. Hello Mr. Smith. I represent a group of highly dedicated Pen-And-Paper RPG players, designers and writers with combined years of experience beneath our belts. One of our group saw that you had mentioned a lot of interest in making an RPG of Dishonoured. The moment I saw the article with my own eyes, I knew that making contact with you and discussing the possibilities of such an endeavour (and perhaps even making it if we’re all really lucky!) was an opportunity worth chasing. Like you, we all feel that Dishonoured is a franchise that is begging for a traditional RPG. Thank you very much for reading this, we all hope to hear from you soon! I want to congratulate you on the successful release of your new game. I’m a game designer. I’m researching an immersive simulator. I wanted to ask you. In addition to immersion in detailed world and the non-linear structure Level design and story. How evolve this genre ? I want to buy Dishonored 2 Collector’s Edition (PC) but we haven’t this item in stores! Maybe somebody from management of Bethesda Russia could help. Also I’m asked this question via forum several times but no any feedback at this point. Please help. I’m a big fan of Dishonored games! Could you please assist me to get Dishonored 2 Collector’s edition here, in Russia? There are no any possibilities to buy it anywhere in local stores. Could you please assist with this hard question? OR maybe youy can provide any polish stores where I can buy this item ( box with the same code Dishonored 2 CE PC ENG/RU/POL)? I need Dishonored 2 CE PC ENG/RU/POL with russian language. Does exist this item in stores anywhere? I’m a huge fan of your work, and your talks/interviews on games/narrative/game theory are very engaging. I’m an aspiring writer, and I remember watching one video where you said you were trying to find a timeline software so you could use it to help you map out a comprehensive history of Dunwall, but you were struggling to find something that lived up to your criteria (i.e. something intuitive which would allow a span of many years). I was curious whether you ever managed to find something online? I’ve been looking around, but they’re either web-based or only allow a certain number of entries for any given day etc. So if the Order Church is real..
where can I. find the right info.? 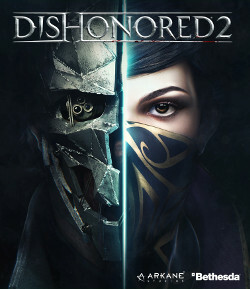 I recently read an interview between you, Sébastien Mitton, and Alex Donaldson, and the part of the interview that caught my attention the most was your desire to turn Dishonored and the Dishonored universe into a pen-and-paper RPG, which sounds amazing. I am a massive fan of the game series, and a pen-and-paper/tabletop RPG fan, along with being a writer. I was wondering if you did have anything in the works for this as of now, or if you might be interested in getting work on it started. I would absolutely love to be a part of creating something that would bring two of my greatest loves together. If you are at all interested in something like this, I would be only too happy to talk to you or someone else about this. If you can, please reply to this.